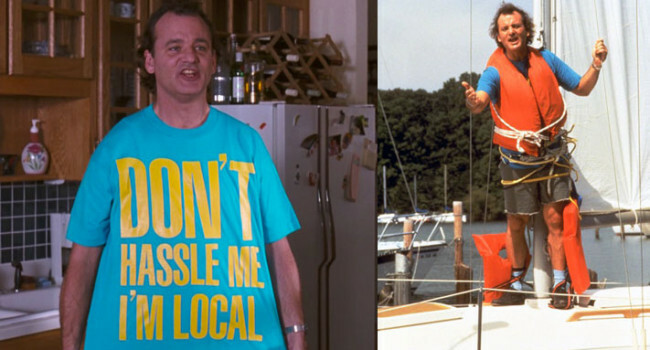 In What About Bob?, Bob Wiley (Bill Murray) is a good-natured psychiatric patient. When his therapist goes on vacation, Bob decides to follow. Initially, he’s only a mild annoyance to Dr. Marvin but as Bob ingratiates himself and his condition improves, Dr. Marvin gets pushed over the edge. 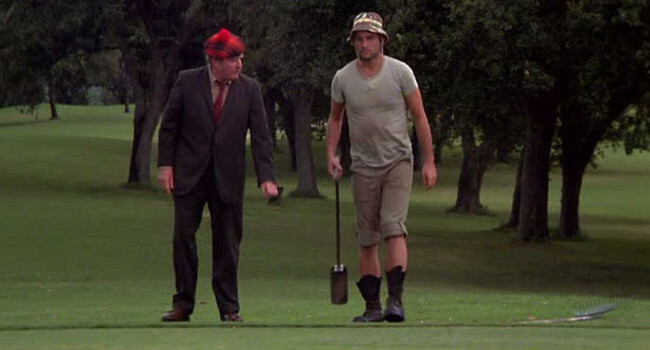 In Caddyshack, when the upscale Bushwood Country Club is overrun with a gopher infestation, it’s the unhinged Carl Spackler (Bill Murray) who’s called in. And when flooding them out of their holes doesn’t work, he embarks on a scorched earth campaign. When ghosts, poltergeists, and other spirits come a haunting, who ya gonna call? Ghostbusters! Coveralls are essential work attire when the possibility of being covered in slime or marshmallow puff is a real job hazard. In The Royal Tenenbaums, Raleigh St. Clair is the meek and mild-mannered husband of Margot Tenenbaum. As a renown neurologist, he’s written the book on test subject and life companion Dudley Heinsbergen. In Kingpin, Bill Murray plays Ernie “Big Ern” McCracken, a professional bowler who’ll backstab anyone to get ahead including bowling prodigy Roy Munson. That rose bowling ball is his gravy train with biscuit wheels.